A treasure of pictures and historical notes from the Swedish province and island Gotland has now been made available in digital form. The historian and artist Pehr Arvid Säve collected historical materials of local importance during the 19th century, materials that are now in the public domain. The historian and artist Pehr Arvid Säve (1811-1887), born in Roma, Gotland, became a teacher on Gotland after his studies in Uppsala. On Gotland he made it his mission to collect and record folklore and other materials of antiquarian importance. He was also the initiator to Gotlands Fornsal, today Gotland Museum. In 1877 Pehr Arvid Säve was appointed honorary doctor at Uppsala University. 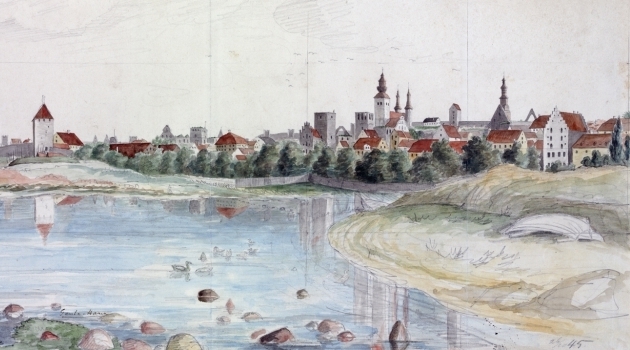 Uppsala University Library today holds Säve’s comprehensive manuscripts Gotländska samlingar (Gotlandic collections) which contains notes on histories, games, songs, names of places collected by Säve in Gotland from the middle of the 19th century onwards. The University library also holds a large amount of drawings and paintings by Säve. Now a great part of this treasure is visible and available outside the Library.